The power of voice is slowly but surely taking over the world of Google, Bing, and Yahoo searches. Leading research firms believe that by 2020, we could see voice search account for anywhere from 30 to 50 percent of all searches. This rapid inclination has led many to wonder how it will affect SEO rankings. 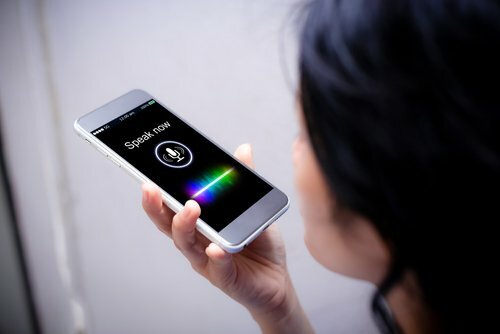 Here are some tips to get ahead of the curve and start optimizing your SEO for voice search. Having all your information accurate across the web is important for SEO to begin with but when it comes to VEO (voice engine optimization) its importance is even more prudent. When your name, address, phone number, and other vital information are accurate, it allows for you to be found easier and not mislead customers. Google recently came out publicly and announced that they are going to be putting more weight on the speed of websites regarding search ranking. The faster your site is, the better it will rank. With mobile search becoming more and more popular each year, page speed can determine how well you rank when it comes to voice search. During mobile searches, the average mobile landing pages takes up to 15 seconds to load but in terms of SEO we like to see pages loading in under 3 seconds. If your mobile pages aren’t loading quick enough for users, it may deter them from visiting your pages thus limiting the effectiveness of your voice search opportunities. A recent survey found that 41 percent of people who use voice search say it feels like talking to another person. When you talk to someone face to face, you are more inclined to use proper vocabulary and complete sentences. People don’t just say words, they ask questions. When people use voice search, they are most likely asking a question and hoping to find an answer. Tailoring your content to answer those questions can help build your SEO because people want to find the answer to their questions as quick as possible. Therefore, we see some sites with FAQ pages as they are building content directly around questions that people may ask and the answers to those questions. Boston Web Marketing has an established history of providing top of the line SEO services to its customers. Call today or fill out a contact form to find out how Boston Web Marketing can help improve your SEO.